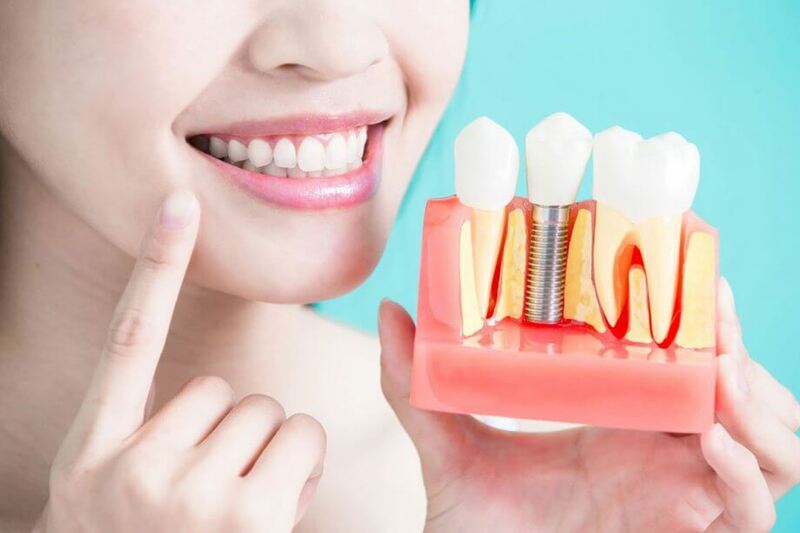 Although dentures were, for centuries, the treatment of choice to replace missing or failing teeth, dental implants have become the new gold standard. Dentures rest on the gums and are prone to pinching and slipping, but dental implants actually replace the tooth roots. This prevents jawbone loss and provides a secure, comfortable foundation for top quality replacement teeth. Here are the top 5 benefits of dental implants. Dentures cost less initially, but dental implants are far less costly over a lifetime. Dentures need annual relines, and typically need to be replaced in under a decade. With proper care, dental implants can last for the rest of your life. If you are concerned about the up front cost, consider adding just 2 to 4 implants to stabilize your existing lower or upper denture. Today’s high-end dentures look quite realistic, but they can shift when chewing, talking, or laughing. A partial denture has precision attachments or a metal clasp that may show, and a full upper denture covers the roof of your mouth with hard plastic. Dental implants remove these issues, making them the most aesthetic solution. Dentures tend to slip, rub, and pinch the gums, especially when eating tough, crunchy, or chewy foods. This can cause discomfort or even pain, and it may lead you to limit your diet. Since dental implants fuse with the jawbone, they eliminate these problems by securely anchoring the replacement teeth. Dentures replace only about a quarter of natural bite strength, making foods such as corn on the cob or steak difficult or impossible to enjoy. Dental implants replace more than 90% of bite strength, making it easy to eat even tough foods. When teeth are missing, the body resorbs the gum tissue and jawbone over time. This can gradually lead to premature aging, including wrinkles and a hollow, sunken appearance. It can also cause even the best-fitted dentures to become loose and uncomfortable. Dentures also increase your risk for chronic sores and inflammation in your mouth from constant rubbing and shifting. This is not only painful, but it can lead to gum disease. Dental implants stabilize the replacement teeth, remedying these conditions.